It’s that time again in your house. It’s your kid’s birthday, Christmas, or a random visit from the Grandparents. You know what’s coming. Another toy. Now, it’s not that we don’t all love and appreciate our children receiving gifts. It’s extremely generous and thoughtful when we receive any sort of gift. But, our house is beginning to look like a toy store. Example A – the Playroom. Can you tell tornado Jack had just been through? Yes, Jack recently pulled the drawer front off of the dresser (which is thankfully anchored). 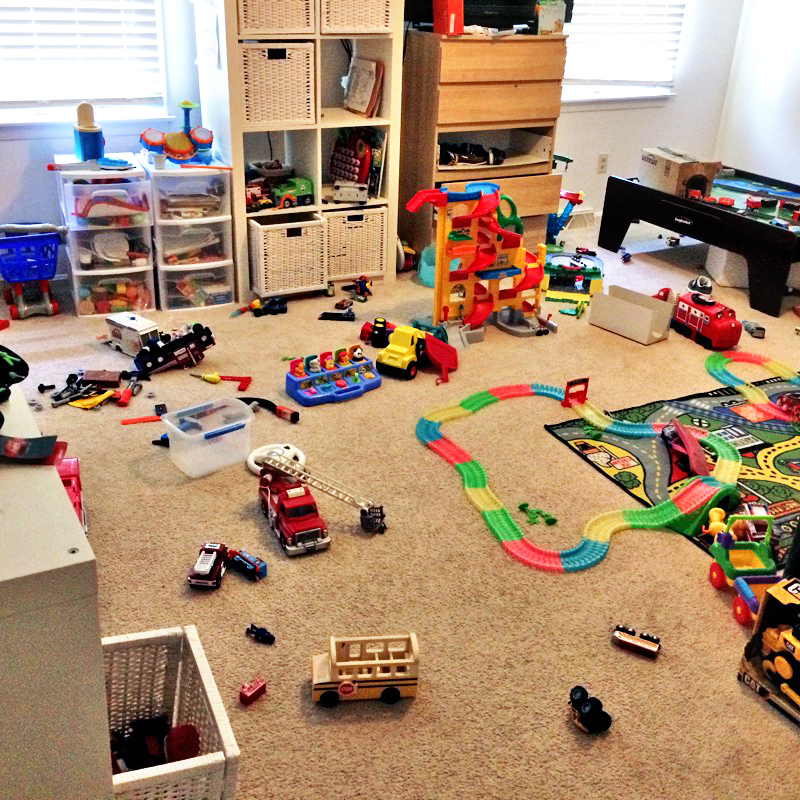 And no, these aren’t all of the toys we own – this doesn’t include the remainder of this room/bookshelves, the walk-in closet in the playroom, or other areas in the house. We have baskets full of cars, trucks, trains, and tractors. We have craft supplies. We have play clothes, musical instruments, stuffed animals and more. We have a kitchen, tool bench, grill, and enough play food to feed a 50 people at a dinner party. And don’t get me started on the train track sets. My boys love their toys. Because I stay at home with them, we use the majority of them in a given week. Recently, we combed through all of the toys and packed a bunch for their soon-to-be born baby boy cousin and donations. Yet, we still look like a Toys “R” Us. 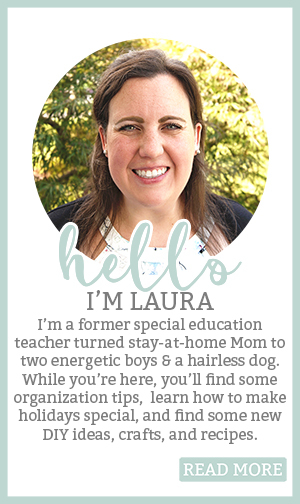 As a Mom so covered in toys, I now try to provide gifts to other children that aren’t toys. But, it can be hard when children are so happy and excited to receive toys. So I needed to find other gifts that can be just as exciting (if not more) than toys. Today, I am sharing with you my list of 15+ toy alternatives. Think experiences over toys. Look up local attractions for your area. Memories last a lot longer than a toy. These all depend on your budget. If you’re a friend, you most likely won’t be looking to buy the child a membership somewhere. But you may be able to buy a gift certificate or ticket good for one trip. Remember, sometimes parents could really use help financially with every day items for their children. By purchasing a non-toy, you’re giving the family something they will truly value and use. 1. Zoo, aquarium, or petting zoo memberships or gift certificates. This is my number one non-toy idea because it is my favorite gift for my parents each year. We love going to our local zoo. It’s a fun way to get out of the house and the best part is at ours we can pack our own lunches so it doesn’t cost us a cent because of our gifted membership. As a grandparent, Aunt/Uncle, friend, etc. just know that this is the gift that keeps on giving. You are giving the child memories that will last a life time. 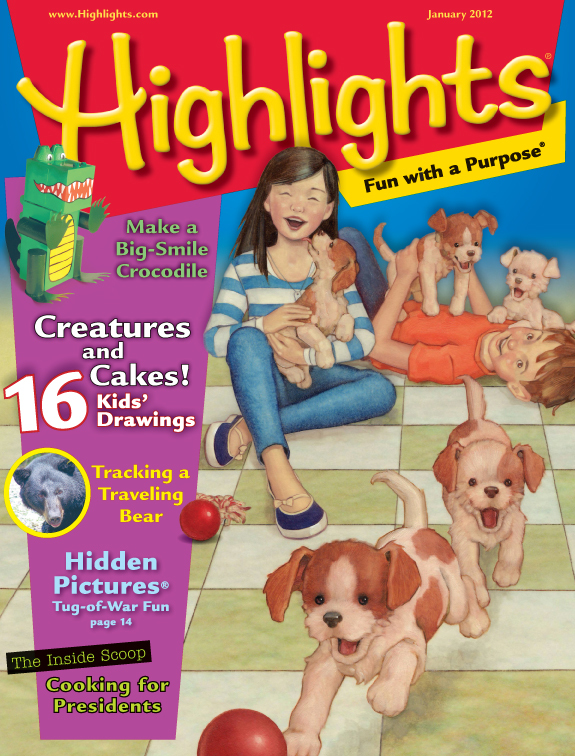 You’re providing them with an educational experience that’s also fun and exciting. You cannot go wrong with a membership or gift certificate to any of these places. 2. Museum memberships or passes. Just like above, a museum membership or pass provides another enriching experience for children. Their memories will last a lot longer than the time they spend playing with another train or doll. 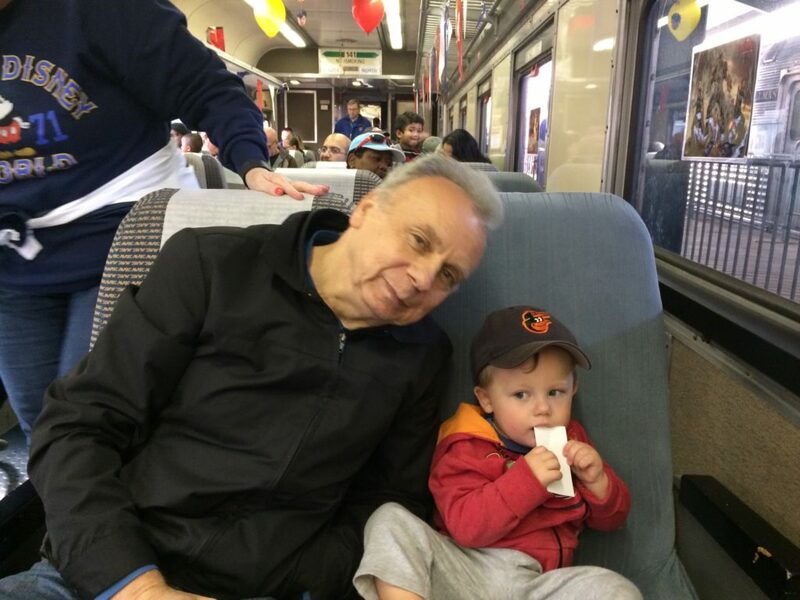 We received a membership to our local train museum from my parents and it made for some amazing fun-filled days. 3. Theme park tickets (or membership). If you have a theme park near you, this can be a thrilling present. 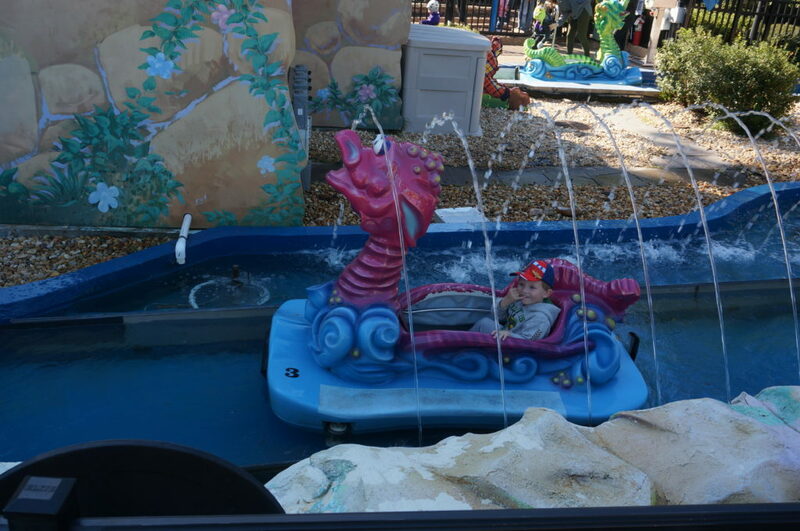 In our area, we have a children’s based theme park called Dutch Wonderland. If the child is older, they will be elated. More memories will be made. 4. Bookroo Subscription. 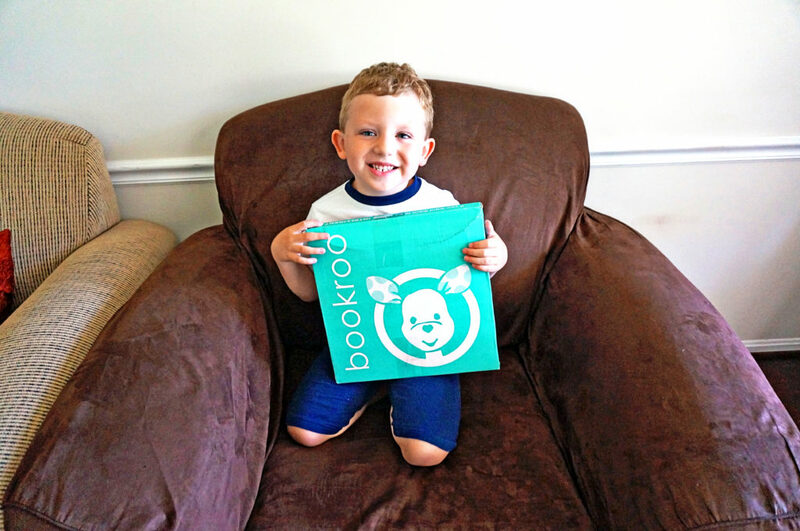 We love Bookroo! We’ll actually be sharing a review of their subscription service later this week. You can foster a child’s love of reading with this gift. The books come packaged in an adorable aqua box. When they open the box, the books come individually gift wrapped. So it’s the present that keeps on giving. 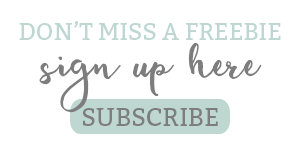 You can send a one-month subscription box, three-month, six-month, or twelve-month. If your children are ages 0-2 they receive three board books. Children 2-6 receive two picture books. 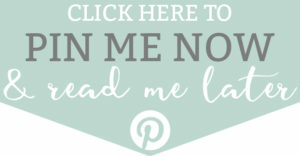 Click to gift Bookroo. 6. 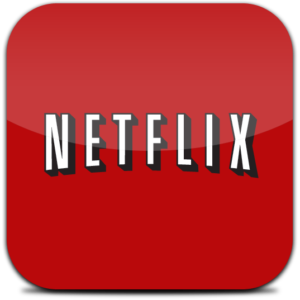 Netflix Subscription. 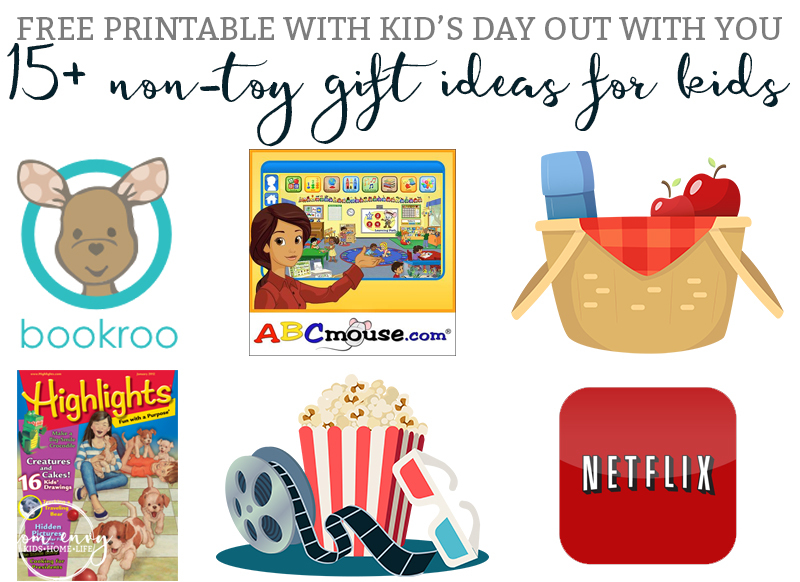 If the child enjoys watching movies or television programing (and the parents are okay with the child watching TV/movies), this can be one of those presents that helps the family out financially. 7. Movie Tickets. 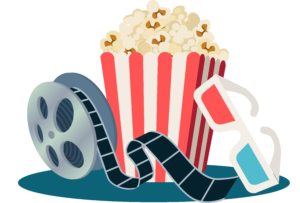 Speaking of movies – movie tickets are a great gift. You can give them a movie out with you (the gift-giver(s)), or provide them with a gift certificate to purchase them on their own. Movies are expensive and are becoming more of a luxury item for families. 8. Show or Play Tickets. Would the child love Disney on Ice? What about Paw Patrol Live? Or a concert? Tickets to a show or play can provide an enriching experience for a child. It may even be their first show. 9. Sports Equipment. Okay, I know this is kind of like toys. The only difference is that it may be a need item for the family. Playing sports gets expensive quickly, especially when teams required specialized equipment. This is a gift both the child and parent will appreciate. 10. Bedroom Decor. Does the child need an updated bedding set? 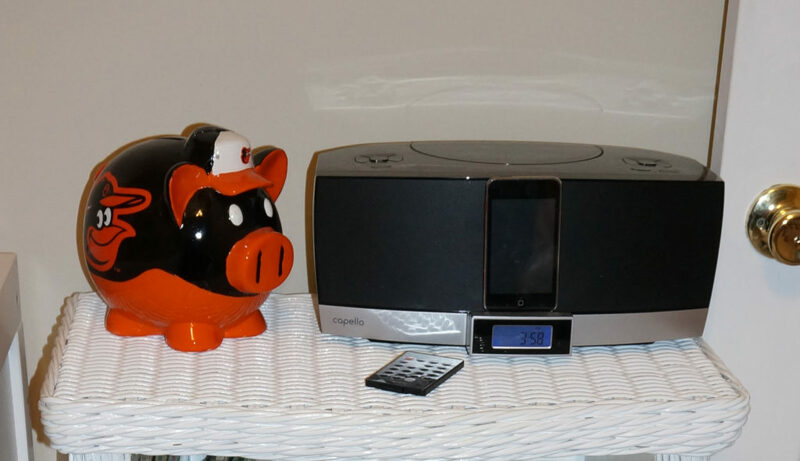 What about a new alarm clock for school or a desk? It doesn’t have to be boring. They can help pick it our or it can be of their favorite character or show. 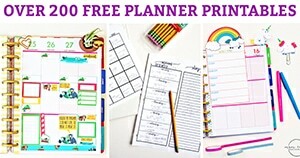 This is another way to help out the parents and make the child happy at the same time. 11. 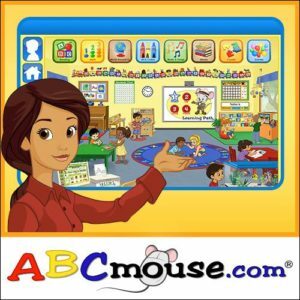 ABCMouse.Com Subscription (or other educational website). If you’ve watched any children’s TV in the past few years, I am sure you have heard of this program. We have been really happy with our ABCMouse subscription. Carl is able to use it to refresh what he’s learned and also learn some new content. 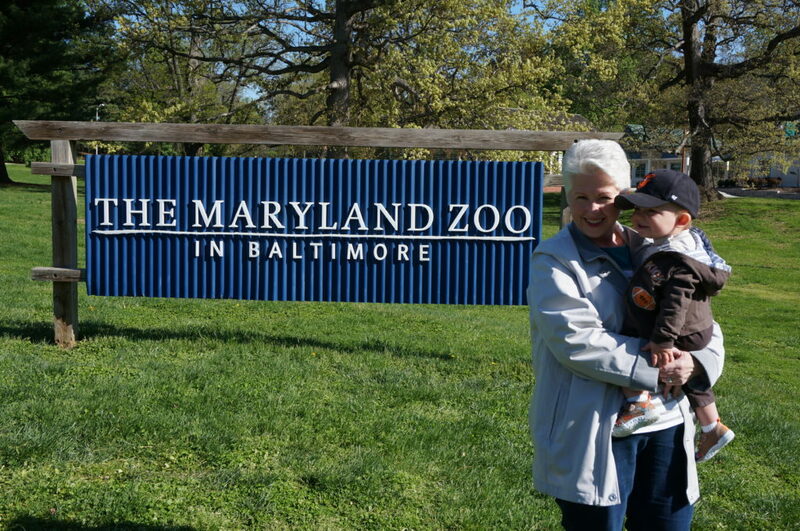 His favorite part is the zoo where he can learn lots of facts about the animals. It allows the child to have some technology time (which they love) while providing educational information. 12. Day out with YOU Packs/Boxes. You can do a Day or Night Out. These packs can be given by anyone but are more likely to work as Day out with Mommy. Day out with Dad. Day out with Grandma and Grandpa. 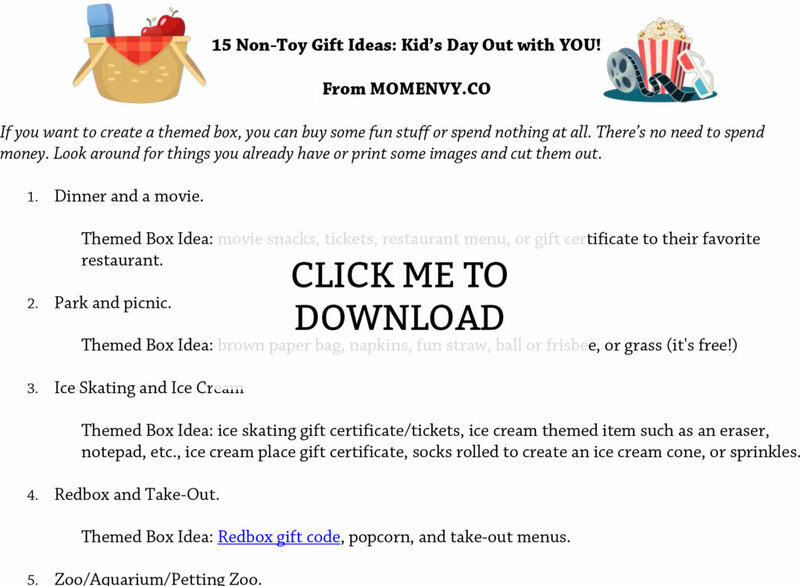 You can simply print a letter explaining the gift or provide an actual decorated box or package that’s themed for your day out. Remember, this gift is about making memories together. Getting some one-on-one time with a parent, grandparent, Aunt/Uncle, etc. can really mean a lot to a child. 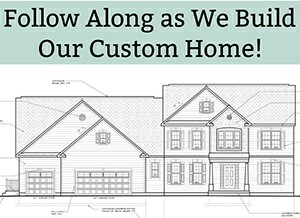 It will help build your relationship and create an ever-lasting bond. Click below for 10+ Day out ideas. If you aren’t on Faceook, contact me here. 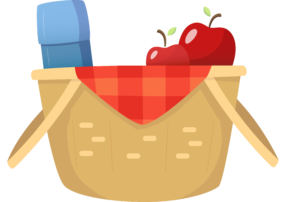 Images for the free printable are designed by Freepik.com (Picnic and Movies). 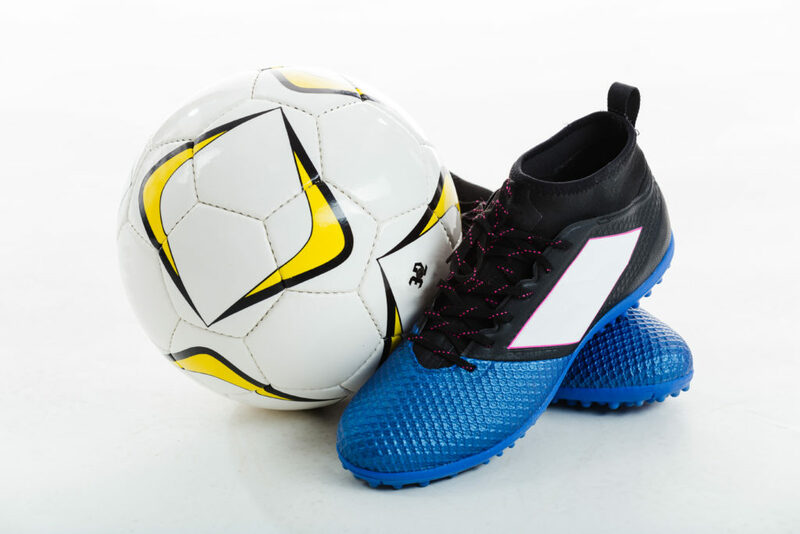 Soccer Ball and Shoes designed by Freepik.com. Jazz Ticket designed by Freepik.com. All great ideas. We just signed my daughter up for ABC Mouse recently and she loves it! !